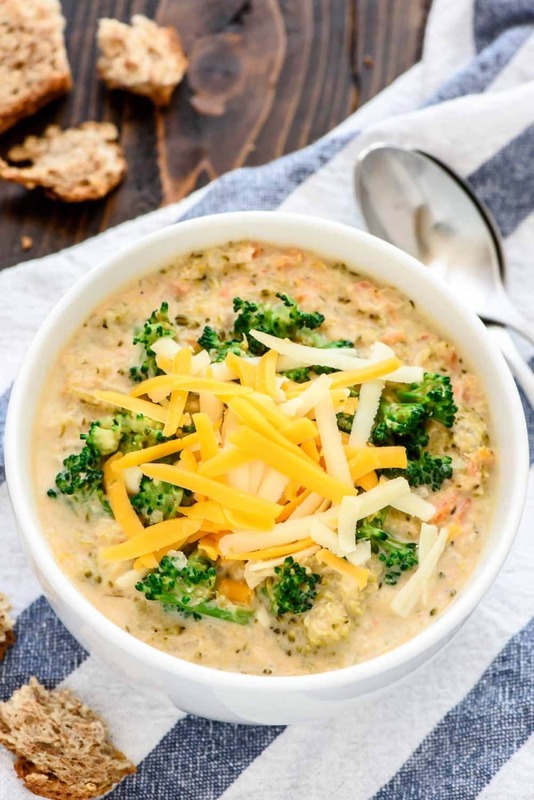 Place the broccoli, carrots, onion, and garlic in the bottom of 5-to-6-quart slow cooker. Top with the cream cheese, oregano, nutmeg, and chicken broth. Stir to evenly distribute the ingredients. Cover and cook on high for 2 hours or low for 4-6 hours, until the broccoli is tender. Recover the soup and let cook on low for 10 minutes until warmed through. Stir the salt, pepper, and grated cheese. Recover and cook on high until the cheese is fully melted and the soup is hot, about 5 additional minutes. All images and text ©Erin Clarke/Well Plated.